With this being our penultimate cycle I have had several family and friends comment to me “oh I bet you can't wait to get back to normal”. This has really thrown and upset me because it seems to come across that they have failed to comprehend the fact that we have 2-3 years of maintenance ahead, at least 2 more general anesthetic surgeries. Not to mention physiotherapy as it is expected Ryan will take 12+ months to heal from the effects of being poisoned from the inside out. 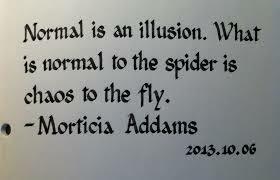 Normal is long way off yet. While everyone else appears to all be getting excited that Ryan is coming to an end of his chemotherapy protocol treatment, Ryan himself is becoming more and more tired with the cumulative effect of the onslaught of the chemotherapy drugs, and is spending longer periods of time in hospital after each cycle with infections due to his impaired immune system now as a result. Ryan is far from excited. Ryan is exhausted. We still have one more cycle to get through, but he is already worrying about the cancer coming back. He says it will be ‘just his luck’ after all the other problems he has faced in his short life. He is so worried in fact that he asked me in the car the other day if he would be allowed to refuse treatment if it does come back. I can not even describe to you the heartbreak that gave me. Homeschooling was finally agreed to start on March 20th, but Ryan was ambulanced to Cardiff that day with his Adrenal Crisis, so has yet to start with the tutor. Missing an entire year of school is a issue and dilemma that we will also have to face before life can ‘get back to normal’. Do we put Ryan back a year, into an unknown cohort of peers that have already settled and made their friendship groups or do we keep Ryan in the same school year with his friendship group, but not enter him for any GCSE’s as he has missed to much work now to be able to catch up. I will be discussing this topic in a separate post at a later date. Ryan was anemic when his was discharged from hospital at the end of cycle 5 and we only got to spend 2 nights at home before he was then admitted to our local hospital on the 3rd night with vomiting, temperature of 39.1C and rigors. Not quite as impressive as he Adrenal Crisis of 40.1C, but still up there in his top 3. His anemia had worsened as expected so he was given his first ever blood transfusion. His blood group is the same as mine A+, he said that is the highest mark he will ever get on any test in his life. Nice to see his sense of humor hasn’t diminished. The timings of cycle 6 are as such that Ryan’s final chemotherapy will be given on older brother Owen’s 18th birthday. Owen is therefore traveling to Cardiff that day with his girlfriend to have a party on the Teenage Cancer Trust ward and then we will treat him and the lovely Ffion to a cheeky Nandos in Cardiff Bay which is something to look forward to. Since being discharged from Carmarthen I have got myself somewhat more organised and now make Ryan homemade double sausage and egg muffins every morning to aid his recovery and weight gain. Something about "...light at the end....." but sometimes it seems the train hasn't even got to the tunnel. Love to all xxxxx. That or the light you can see is in fact the train heading straight for you. I am sure the skies will clear soon and we will be out in the sunshine once more. I loved his sense of humour! A long journey for you. Thank you for giving me your link- if you are interested, my autism link to my blog is https://teachingautismblog.wixsite.com/teaching-and-autism and reflects my experiences teaching students with autism.